Sri Lanka has a rich dragonfly fauna. There are many species that are common to Asia and a number of endemics. Dragonflies can be found for most of the year, though many species have specific flight times. There are 117 species of dragonflies and damselflies out of 53 are found to be endemic. Dragonflies are in fact three suborders with two suborders present in Sri Lanka. Suborder Anisoptera are dragonflies. 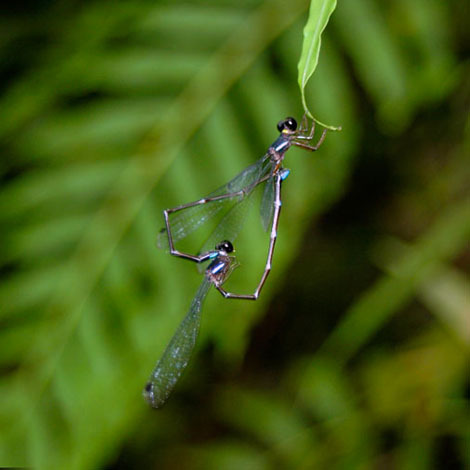 Suborder Zygopteraare damselflies. Both are belonging to Odonata. A dragonfly has a life span of more than a year, but very little of that life is actually as an adult dragonfly. There are three stages of the dragonfly’s life cycle, the egg, the nymph, and the adult dragonfly. Most of the life cycle of a dragonfly is lived out in the nymph stage and you don’t see them at all, unless you are swimming underwater in a lake or pond with your eyes open, of course.